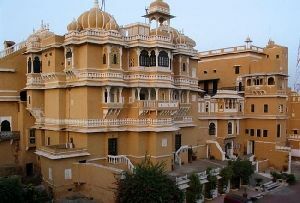 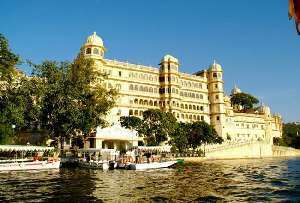 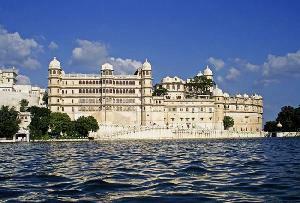 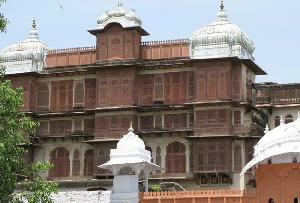 Also known as the Vinay Vilas Mahal, the Alwar City Palace is a marvelous structure in the heart of the Alwar city. 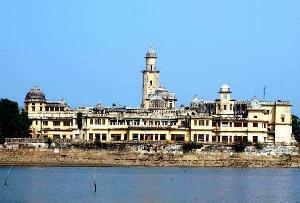 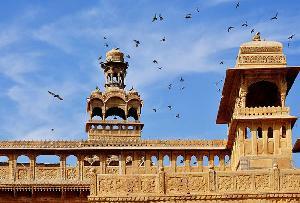 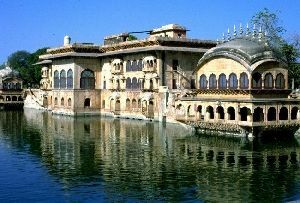 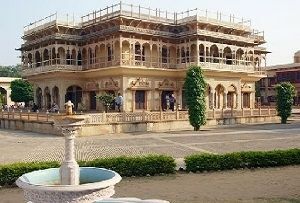 Built at the end of 17th century, the City Palace is a fine example of the Rajput-Islamic architecture. 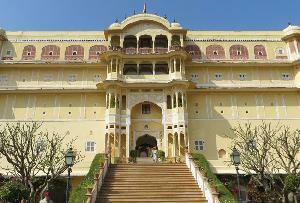 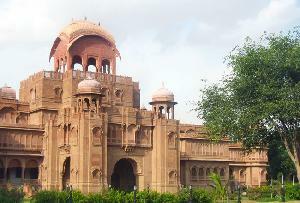 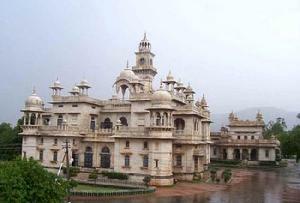 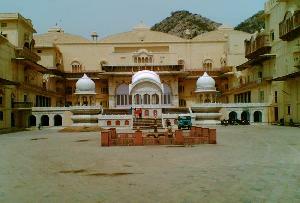 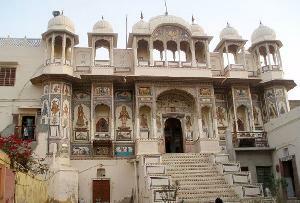 A highly visited landmark in Alwar, the designing of the majestic Palace highly speaks of its entry gates. 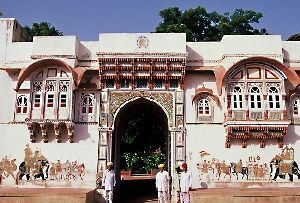 Entry in the Palace can be done through various gates, which are known as Laxman Pol, Suraj Pol, Chand Pol, Kishan Pol and Andheri gate. 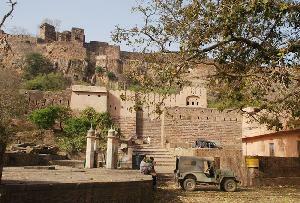 Once passed through these gates, one is likely to come across an open ground with Krishna temples on all sides. 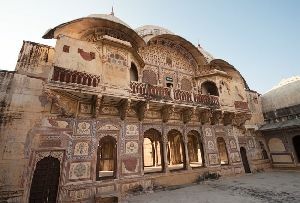 Well known for its heritage and archaeology, the City Palace also houses a museum which has preserved the enriching history of the Palace in it. 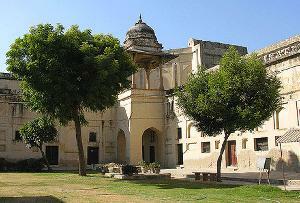 Fascinating are the miniature paintings of the historical Alwar school, which ornate the walls of the reputed museum. 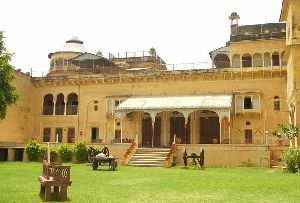 Other than the museum, there is also a golden Durbar hall, which is one of the highlighting features of the Alwar City Palace. 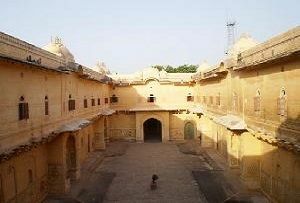 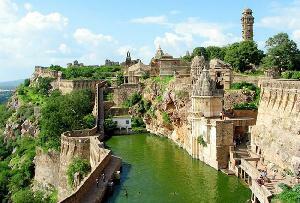 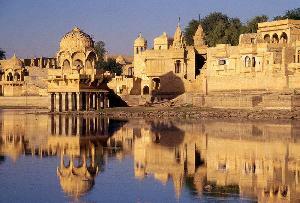 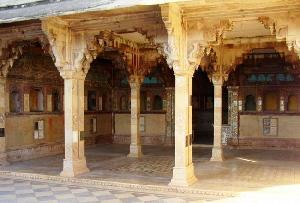 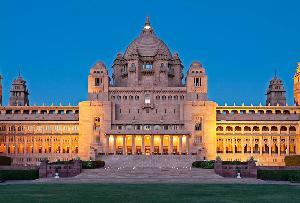 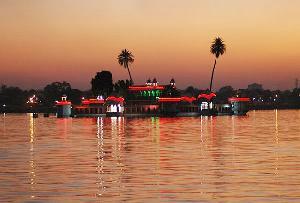 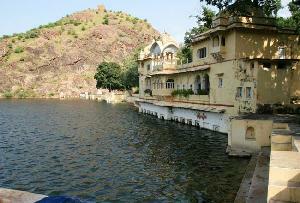 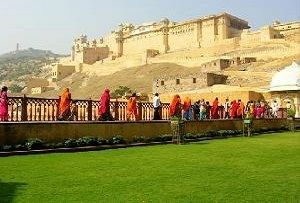 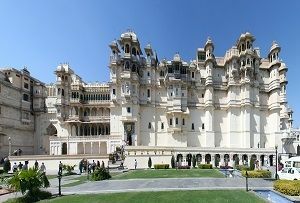 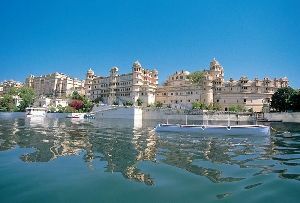 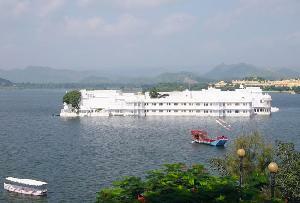 Apart from the sprawling City Palace in Alwar, one can also pay a visit to the other splendid structures. 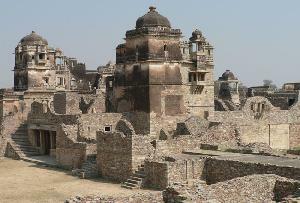 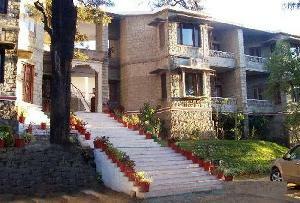 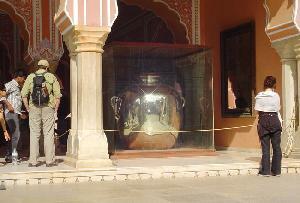 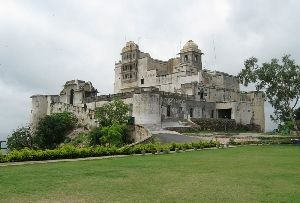 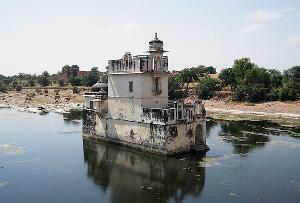 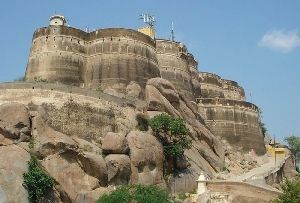 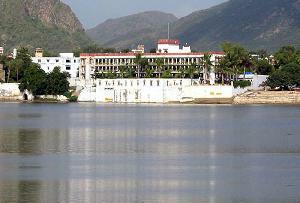 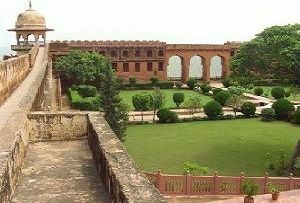 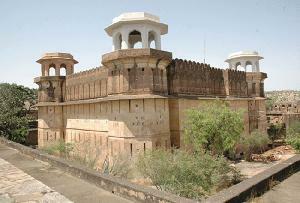 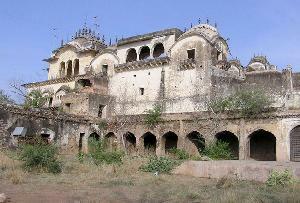 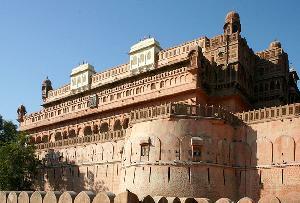 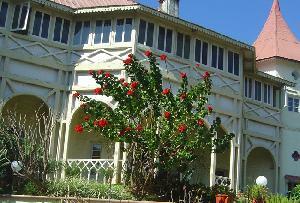 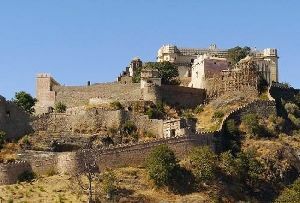 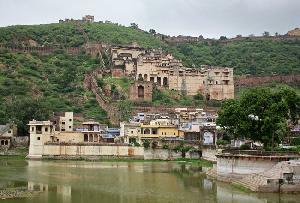 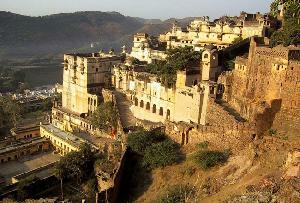 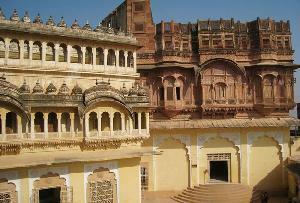 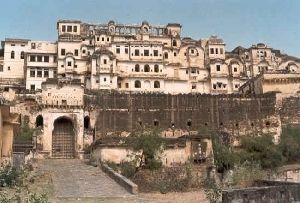 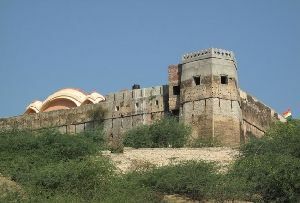 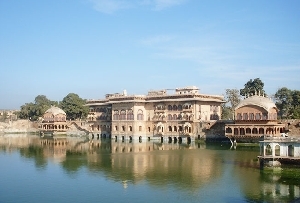 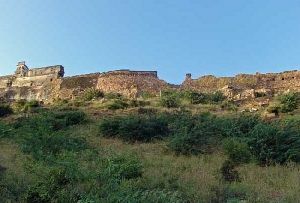 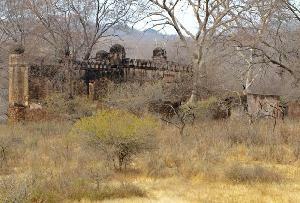 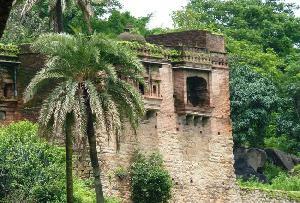 Prominent structures in the close vicinity of Alwar City Palace are Company Bagh, Bhangarh fort and Government Museum.